through managing textual, visual, audio and video data. 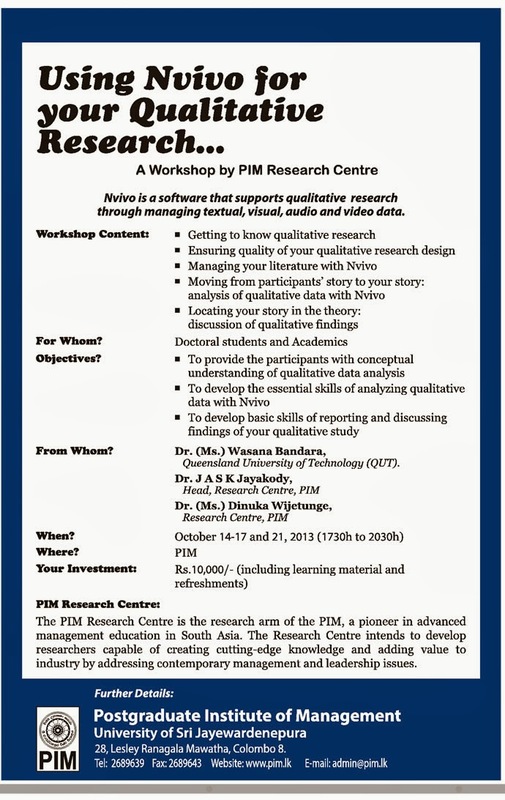 The NM Research Centre is the research arm of the PIM, a pioneer in advanced management education in South Asia. 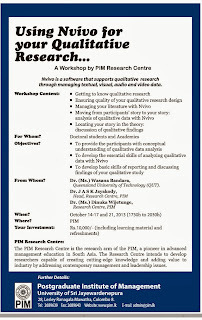 The Research Centre intends to develop researchers capable of creating cutting-edge knowledge and adding value to industry by addressing contemporary management and leadership issues. 28, Lesley Ranagala Mawatha, Colombo 8.